A representation of personifications of the Four Virtues. These virtues derive initially from Plato's scheme, discussed in Republic Book IV, 426-435 (and see Protagoras 330b, which also includes piety (hosiotes)). 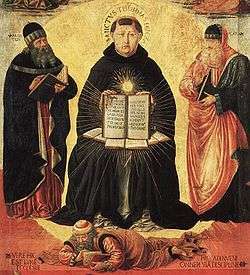 Cicero expanded on them, and Saint Ambrose, Augustine of Hippo, and Thomas Aquinas adapted them. 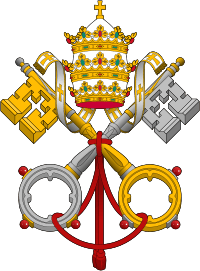 The term "cardinal" comes from the Latin cardo (hinge); the cardinal virtues are so called because they are regarded as the basic virtues required for a virtuous life. They also relate to the Quadrivium. The four cardinal virtues appear as a group (sometimes included in larger lists) long before they are later given this title. Plato identified the four cardinal virtues with the classes of the city described in The Republic, and with the faculties of man. Plato narrates a discussion of the character of a good city where the following is agreed upon. “Clearly, then, it will be wise, brave, temperate [literally: healthy-minded], and just.” (427e; see also 435b) Temperance was common to all classes, but primarily associated with the producing classes, the farmers and craftsmen, and with the animal appetites, to whom no special virtue was assigned; fortitude was assigned to the warrior class and to the spirited element in man; prudence to the rulers and to reason. Justice stands outside the class system and divisions of man, and rules the proper relationship among the three of them. Cicero discusses these further in De Officiis (I, V and following). The Roman Emperor Marcus Aurelius discusses these in Book V:12 of Meditations and views them as the "goods" that a person should identify in one's own mind, as opposed to "wealth or things which conduce to luxury or prestige." The cardinal virtues are listed in the Bible. The deuterocanonical book Wisdom of Solomon 8:7 reads, "She [Wisdom] teaches temperance, and prudence, and justice, and fortitude, which are such things as men can have nothing more profitable in life." Catholic moral philosophy drew from all of these sources when developing its reflections on the virtues. The "cardinal" virtues are not the same as the three theological virtues: faith, hope, and charity / love (see 1 Corinthians 13). Together, they comprise what is known as the seven virtues, also known as the theological virtues. While history suggests that the first four date back to Greek philosophers and were applicable to all people seeking to live moral lives, the theological virtues appear to be specific to Christians as written by Paul in The New Testament. In the Book of Genesis (28:10-22) Jacob describes his vision of a ladder or stairway leading to heaven. In oral tradition, the three principal rungs on the ladder were denominated empathy, Hope and Love. 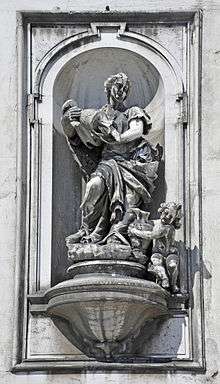 (The King James Version of the Bible uses "charity," but "charity" was derived from caritas, or "love.") These three are mentioned in 1 Corinthians 13: And now these three remain: faith, hope and love. But the greatest of these is love. Because of this reference, the seven attributes are sometimes grouped as four cardinal virtues (prudence, temperance, fortitude, justice) and three heavenly graces (faith, hope, charity). "contemporary writers repeatedly express dissatisfaction with the insufficiency of justice". "the modern era insists that moral dilemmas are not based on the simple opposition of good and evil but, more frequently, on the clash of goods – thus a constellation of heuristic guides that already resolves the priority of one virtue over another by which a preconceived hierarchical structure preempts realism"
In replacement, they suggest the three Bible virtues of: Faith, Hope, and Love. Additionally, they add: be humble, be hospitable, be merciful, be faithful, reconcile, be vigilant, and be reliable. This totals to 10 new virtues to replace the four cardinal virtues. 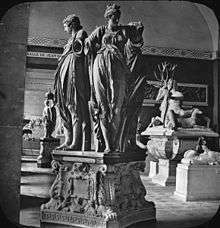 The Cardinal Virtues are often depicted as female allegorical figures and were a popular subject for funerary sculpture. The attributes and names of these figures may vary according to local tradition. 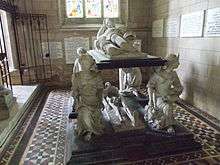 Notable depictions include sculptures on the tomb of Francis II, Duke of Brittany and the tomb of John Hotham. They were also depicted in the garden at Edzell Castle. A humorous depiction of the four cardinal virtues appears in the children's book "Masterpiece" written by Elise Broach and illustrated by Kelly Murphy. ↑ "Cardinal Virtues of Plato, Augustine and Confucius". theplatonist.com. ↑ Harper, Douglas. "cardinal". Online Etymology Dictionary. ↑ "Cicero: de Inventione II". thelatinlibrary.com. ↑ Marcus Aurelius (1976). Meditations. Penguin Classics trans. by Maxwell Staniforth. p. 83. ↑ Harrington, Daniel; Keenan, James (2010). Paul and Virtue Ethics. Lanham, MD: Rowman and Littlefield Publishers. p. 9. ↑ Harrington, Daniel; Keenan, James (2010). 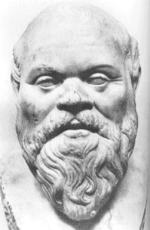 Paul and Virtue Ethics. Lanham, MD: Rowman and Littlefield Publishers. pp. 125–126. St. Augustine, "Of the Morals of the Catholic Church"
John Rickaby (1913). "Cardinal Virtues". In Herbermann, Charles. Catholic Encyclopedia. New York: Robert Appleton Company.